The first invitational meet for the CDM Sea Kings was held this past Friday evening at Irvine High School’s track stadium. Each school represented was able to enter up to 3 athletes per event. Despite the cold temperatures, many of our runners and field athletes excelled in their event(s), with 10 athletes placing in the top 3 of their event! 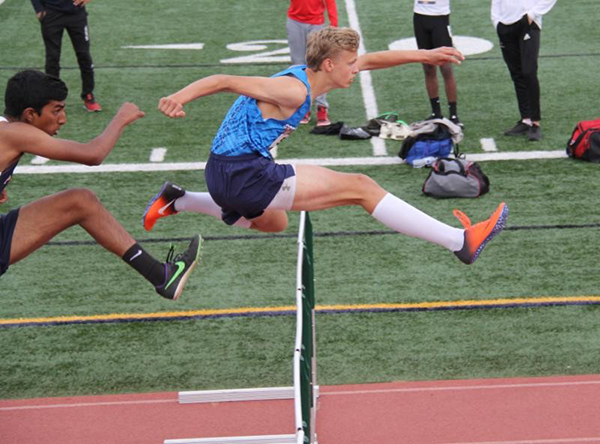 Of special note, 2 Irvine Invitational meet records were set by Sea King junior PAIGE DAMRON with a 46.5 in the Varsity 300m hurdles, and sophomore Nico Pence, running his lifetime PR of 9:56 in the Frosh/Soph 3200m. What a great start to the Sea King Track & Field season! Our next meet is this Thursday at Newport Harbor High School. Paige Damron 46.5 1st place – MEET RECORD!